I cannot believe it!!!! I have found my forever home and not one that just says they are, this one is forever!! I have 2 wonderful brothers Ghianti and Fred both were adopted just like me!!! Life is wonderful! My first family portrait with my NEW mommy, daddy and brothers!! Everyone thinks that buying a puppy from a breeder that shows their dogs is the guarantee that the dog will never be homeless. Well I can tell you that is not the case! In less than 6 months after being purchased from my breeder, I was in a new home. And not just one, but at least 3 more!! 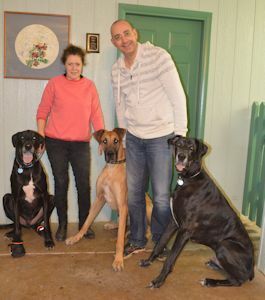 Lucky for me, my last owners wanted to stop the vicious cycle and, since they were not keeping me, contacted Harlequin Haven Great Dane Rescue so they could find me a real forever home. 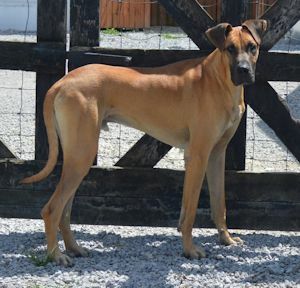 The rescue tried to find my breeder via email, phone, Facebook, her friends, and other Dane breeders etc. and well, she never responded. So Harlequin Haven did what they do for any homeless Dane, they opened their hearts and home to me. Below are links to my AKC papers and my contract.Interestingly enough, my owner never signed my contract. Although I am cute and sweet, I am not show or breeding quality, yet I was sold on a full registration. 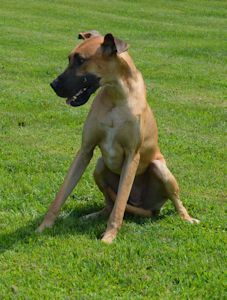 Click here to see my AKC papers and my contract. Update: I am now ready for adoption!! The volunteers at the rescue realized quickly I had no manners and have taught me proper behavior. Okay to be honest I am still learning as Grandma says I am a work in progress!! So whomever adopts me must enroll me in a Obedience class. 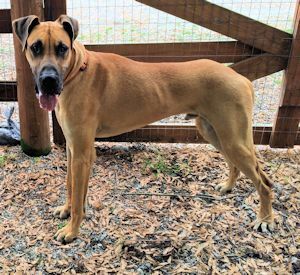 I am a very loving and playful Dane.